If you’ve been reading my blog for a while, you know that I’m all about finding hidden gems in the Nordics and trying to promote sustainable tourism, especially in Norway as the fjords in the west and the Lofoten Islands in the north, are getting way too crowded. One of the recommendations I always give people who’d like to explore Norway off the beaten track, is to explore Northern Norway (aside from Lofoten). A region stretching over 112,951 km² and making up about 35% of Norway’s mainland, you can be sure to discover a hidden gem or two when traveling around this area. One of the biggest (and least crowded) gems in itself is the region of Finnmark, stretching all the way to 71 degrees north. I was lucky to experience life in the outskirts of Europe when I did my Workaway stay in the small village of Gamvik, and still regret that I didn’t went further east to explore the Norwegian-Russian border area around Kirkenes. Therefore I was all the more excited when I was contacted by Prityazhenie, asking if I’d be interested in writing a post about the region and specifically about Pasvik Nature Reserve - a national park that actually stretches over areas of Norway, Russia and Finland, and apparently is a heaven for bird watchers! *This post was written in collaboration with Prityazhenie, Moscow. Pasvik Nature Reserve is situated in the South Varanger region of Finnmark in Norway, and stretches all the way over the border to the Pechengsky district around Nikel in Russia. It’s in total 166km² big and was established as a joint project of Russia and Norway in the 1990s. The reserve follows the border river Pasvikelva and only 19km² of it are actually situated in Norway, while the rest is located in Russia. The adjoining Vätsäri Wilderness Area near Inari in Finland on the other side of the Norwegian border, together with Pasvik Nature Reserve, shapes the so-called Pasvik–Inari Trilateral Park - a nature reserve that stretches over 3 countries. The Pasvik Nature Reserve isn’t just special because of its border-crossing location, though. The interculturality of the place is also reflected in the flora and fauna of the reserve as Pasvik is regarded as the meeting point of both, western and eastern vegetation, with the taiga (or forest tundra) meeting the marshlands of the Arctic tundra. Thus, it’s a place of interest for scientists and nature enthusiasts alike - not least because of the over 230 species of birds that have been sighted in the area. One of the best places to watch birds in the area is the small island of Varlama, situated right in the middle of the border river Pasvikelva and thus, right in the middle of the border zone. Visiting the island is usually off limits for both, Norwegians as well as Russians, but the island was opened for a short period of time this autumn in order to celebrate the birds of the nature reserve. The festival “Birds of Pasvik” was hosted for the first time this year, on the occasion of celebrating the 25th anniversary of the Pasvik Nature Reserve, and gave students of the local community college in Pasvik, as well as scientists and teachers from Russia the opportunity to experience the border in a whole new way. Festival attendants had to go through customs control and then board a small boat to get a lift to the island - and even the Norwegian chief inspector of customs control was invited and attended the event. The festival had only 50 attendees in total, but considering the size of the island and its location in the border zone, a bigger festival wouldn’t have been possible. As if the birds had known the cause of the event, though, attendees counted 25 bird species in total. Originally, Pasvik Nature Reserve was established as an area to protect birds and is a direct result of joint Norwegian–Russian relationships and environmental efforts, supported by the local mining company Nornickel. Festival attendees of both countries are very happy with the outcome of “Birds of Pasvik” and hope that the festival will be hosted again in the future. I know, I said visiting the island of Varlama is pretty much impossible when there isn’t a bird festival going on - BUT, that doesn’t mean you can’t visit the nature reserve at all. The easiest way to make your way into the area is by flying into Kirkenes and renting a car there. You could, of course, also combine a visit to Pasvik with a cruise along the Norwegian shore on board of the Hurtigruten, as Kirkenes is the end point of the northbound cruise (and, respectively, the starting point of the southbound one). There are 4 villages in the area close to Pasvik Nature Reserve on the Norwegian side: Svanvik, Skogfoss, Vaggatem and Nyrud. When it comes to finding a base for your nature adventure in Pasvik, though, Svanvik seems to be your best bet! You can stay at Svanhovd Conference Centre and from there, venture out to explore Svanhovd Botanical Garden, Øvre Pasvik National Park Centre, Varanger Museum, or Height 96 (Høyde 96) - an observation tower that was once used by the military and now hosts a small cafe in the summer. Apparently you can not only watch birds and even bears from the tower, but also see as far as Nikel at the other side of the border! Fore more information on visiting Pasvik Nature Reserve, you should have a look at the website of Visit Kirkenes. Would you be up for a wilderness vacation in Finnmark? 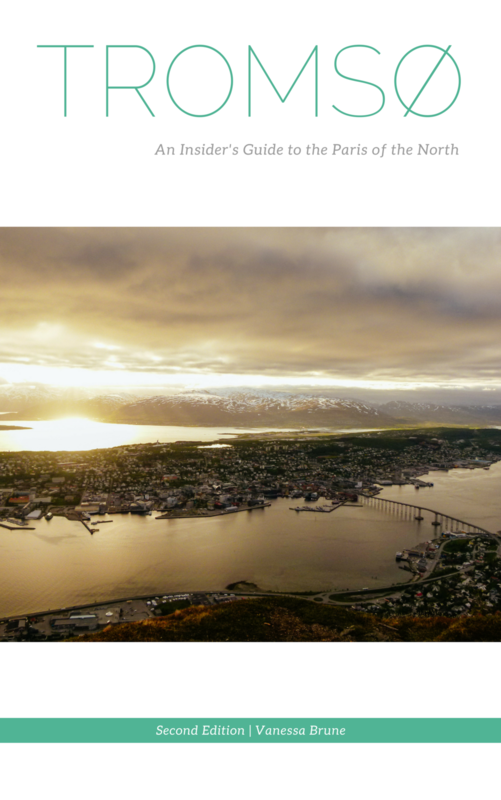 curious to learn more about finnmark in northern norway?